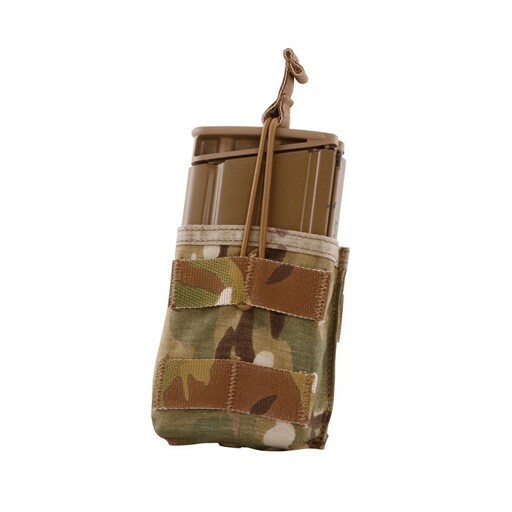 Holds a single 7.62X51, 20 round magazine for the following types of rifles; SCAR-H, Mk11/M110/SR25, FN-FAL, HK91/G3, M1A/M14/M21. Retention is supplied with a shock cord and a speed tab. Additional PALS attachment points on the front of the pocket allowing for more storage.